The entrance into Estes Park is quite welcoming and if you aren’t from a rocky terrain area, then it’s quite impressive and representative of the area. 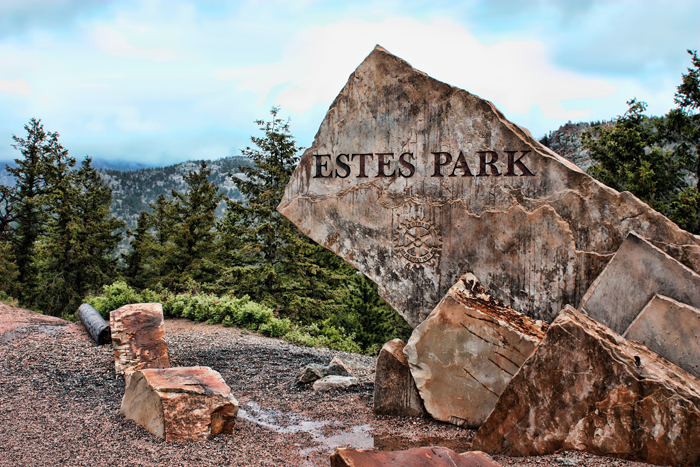 Estes Park is known as the entrance to Rocky Mountain National Park and is a popular tourist destination for summer resorts and winter skiing and lodging. View more of my National Park photos from around the United States! Welcome to Estes Park, Colorado by Joey B. Lax-Salinas is licensed under a Creative Commons Attribution-NonCommercial-NoDerivs 3.0 Unported License. Permissions beyond the scope of this license may be available at http://www.joeyblsphotography.com.